Here are a number of tips and tricks to make your experience with Windows 10 easier. 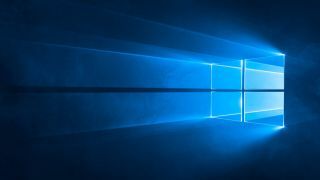 Now that Windows 10 is out and making its way to eager customers who have waited patiently for the new OS, we thought it would be a good time to post a few tricks and tips. These include changing the platform’s look, turning off Wi-Fi Sense, and loads more. There’s probably more than what’s listed here, so check back for additional entries. 1. Right-click the desktop and choose Personalize. 3. Choose your desired color; this will change both the taskbar and Start Menu. 4. Want the highlights to match your backdrop? Turn on the “Automatically pick an accent color…” option. 2. Right-click the tile you want removed. 5. Scroll down and select "Web Browser." 6. Choose your desired web browser. 4. Click "Notifications & actions." 5. Choose a desired setting for notifications. 4. Select "Mouse & touchpad"
5. Make sure “Scroll inactive windows when I hover over them” is checked. 1. Click within the search field on the taskbar. 5. Optional: Click the “Learn my Voice” button so that Cortana can become familiar with your voice. 2. Here you can clear Interests, Saved places, search history, other Cortana data, personalized speech, inking, and typing. 3. Click "Update & Security." 6. Choose “Notify to schedule restart” from drop-down menu. 5. You should now have an icon labeled GodMode. 3. Click "Network & Internet." 4. Scroll down and click "Manage Wi-Fi Settings." 2. Click "Programs & Features." 3. Choose the program to uninstall. 4. Click "Your Account" and make your changes. 1. Open the Edge browser. 2. Click the button with three dots. 4. Choose "View Advanced Settings." 5. Choose a search engine in the “Search in the address bar with” drop-down menu. 2. Open the "Microsoft.XboxApp" folder. 3. Open the "LocalState" folder. 4. Open the "userconsoledata" file with a text editor. 5. Change the "IsInternalPreview" variable from "false" to "true," then save. 6. Open Xbox App and connect to the Xbox One. 7. Click "Settings" then "Game streaming." 8. Select "Very High" as shown above.